Replacements for natural teeth, also called false teeth. Tooth loss isn’t inevitable with aging, and some surveys demonstrate the majority (53 percent) of people 65 years old or older in America keep their own teeth. Nevertheless, many seniors lose their teeth because of poor oral hygiene and their failure to get routine (or any) DENTAL SERVICES. Because of this, they grow cavities and gum disorders, which lead to tooth loss. It is extremely important that dentures fit correctly. Ill-fitting dentures may allow it to be hard or even impossible for the person to eat, and this issue could bring about malnutrition. Dentures should also be kept clean and should be brushed daily. During sleep, dentures should be soaked in a suitable cleansing liquid. People who’ve partial dentures should care for their “partials” in exactly the same manner as individuals with complete dental replacements. Occasionally, dentures should be readjusted or fixed. Such activities shouldn’t be tried by the denture wearer but rather should be undertaken by the dentist or other people which he or she advocates. Some individuals who wear dentures consider they no longer should see their dentists, but this is totally incorrect. 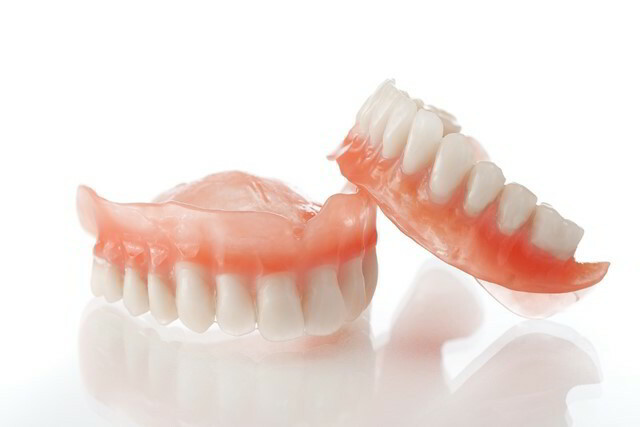 Individuals who wear dentures should have routine checkups with their dentists to ensure that their gums are in good health and that no GINGIVITIS or other dental disorders are present. Dentists additionally assess for instances of ORAL CANCER. The dentist will even assess the dentures aren’t faulty.